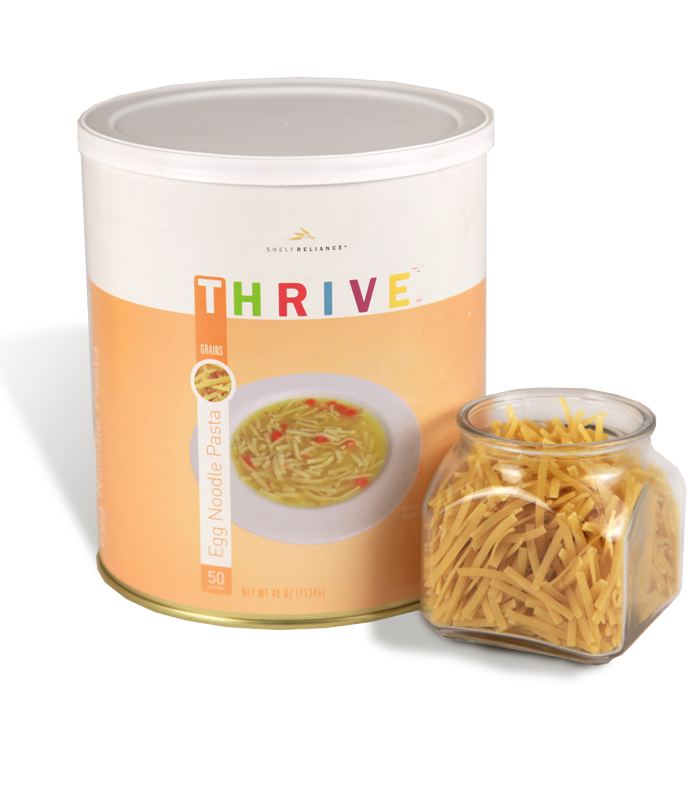 Thrive Egg Noodle Pasta is a great addition to any meal. Use it for soups, casseroles, stroganoff, and Italian dishes. Thrive Egg Noodle Pasta is simple to make--simply follow the directions on the can for delicious noodles that will make the perfect main dish or side dish. DURUM WHEAT SEMOLINA, DURUM WHEAT FLOUR [ENRICHED WITH IRON (FERROUS SULFATE) AND B VITAMINS (NIACIN, THIAMIN MONONITRATE, RIBOFLAVIN, FOLIC ACID)], EGGS. Add noodles to boiling salted water and cook until tender [see individual labels for more specific instructions]. Our pasta noodles give you several options for making great pastas, baked dishes, soups, and cold salads. Try mixing several shapes for fun pasta salads!